Rent Marigold Kitchen | Corporate Events | Wedding Locations, Event Spaces and Party Venues. Upscale BYOB offering an avant-garde New American tasting menu in a traditional Victorian home. Though hailing from Philadelphia, Chef Robert Halpern began his culinary career at age 20 at the Moosewood Cafe in Ithaca, New York. He then travelled the country learning his craft, cooking under Mark Miller and Nuno Mendes at Coyote Café in Santa Fe; spending a summer at Shelburne Farms in Shelburne, Vermont; and later serving as chef de cuisine at Atlantica Restaurant in Camden, Maine. By 2007, he was eager to learn more about cooking techniques that draw on food science, so he headed to the source of such innovation—Chicago—to intern with pioneering chef Grant Achatz of Alinea. He also did stints at Binkley’s Restaurant in Cave Creek, Arizona and Hugo’s in Portland, Maine. 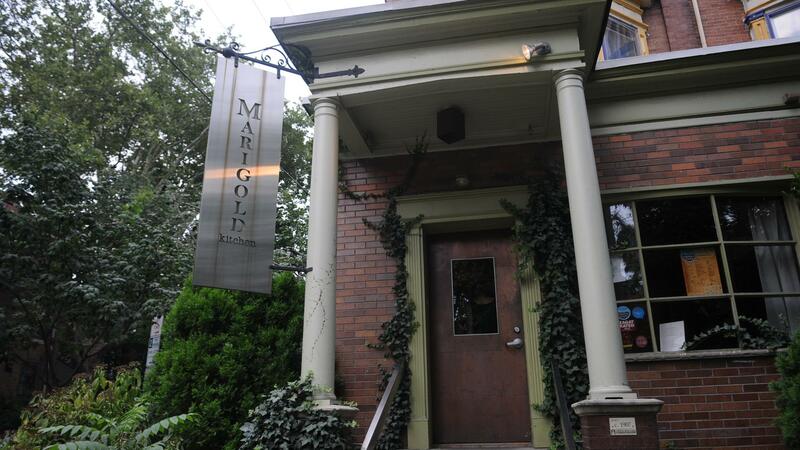 Marigold kitchen accepts reservations from 5:30 PM to 10:00 PM. Awarded with the TripAdvisor Certificate of Excellence for two consecutive years (2013 & 2014). Ranked #300 of 3,738 Restaurants in Philadelphia and rated nearly 5 out of 5 based on 63 reviews. Liked by 93% of 112 voters on Urbanspoon. Rated 4.6 out of 5 on Facebook based on average of 90 public ratings. Rated 8.1 out of 10 on Foursquare based on average of 488 total visits by 365 visitors.